Valentine’s Day can be incredibly romantic and take your relationship to the next level or just another holiday. This year make it extra special for you and your loved one. Some extra thought and planning can go a long way towards bringing cupids arrow your way. 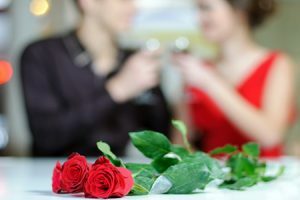 With so much pressure on the perfect day, here is some expert advice on major Valentine’s Day Do’s and Dont’s. Don’t Forget Valentine’s Day! Unless you and your partner agreed on not celebrating Valentine’s Day, this is a day you don’t want to forget. Whether the gift is big or small, it is always the thought that counts. For thoughtful gifts that are sure to impress, check out our specially curated Valentine’s Day Gifts. Do Plan ahead! Don’t wait until the last second to secure a coveted reservation at a new restaurant or have to pick from beat up flowers. Planning the day or special event in advance can take a lot of pressure off of that day. A personalized gift, engraved with a thoughtful poem is a gift they will remember forever. By planning ahead, you can secure the reservation, order flowers ahead of time and even order a special personalized gift with time to spare! This way, if anything goes wrong – you have some time to make it right! Don’t Give the same cliche gift year after year. Flowers and dinner reservations are nice but can get repetitive and old. Candy and Chocolates, good while they last will be thrown out eventually. 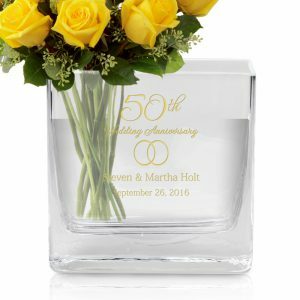 This year put a spin on tradition and give a thoughtful gift, try the Love personalized glass vase with this year’s flowers bouquet. This thoughtful gift that can be used for every future bouquet, given all year round. Show them that you were really listening with tickets to a upcoming show or their favorite teams sporting event. Do Expect not everything to go right. Because of the overall stress of the day, there are bound to be missteps. Don’t let that ruin the big day – Have a back-up plan just in case that restaurant loses your reservation or your chocolates get rejected. Don’t Stress yourself out over this holiday. Sure, you want to make it special for your significant other or date but this day shouldn’t put you in debt or cause you extra anxiety. 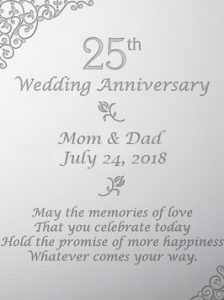 Take the stress out of giving a thoughtful and special gift with a personalized picture frame with your favorite photo together or a heartfelt heart shaped plaque engraved with a special poem. Give a gift that will be remembered for years to come! Do Enjoy the day! Valentine’s Day is a celebration of Love! Whether you’re a new couple finding love or a relationship that lasted the test of time, this day is for you. Take time truly revel in the love you share! This can be a crucial day to take your relationship to the next level. If you are considering proposing, elevate that moment with a personalized proposal box that she can keep for years to come! For special Do’s and Don’ts on proposing on Valentines Day, check out this specially curated and helpful list. Whatever your plans are for this loved up holiday, consider our Valentine’s Day Do’s and Dont’s to take your plans to the next level. Sometimes the best gift you can receive are the memories made, so make this Valentine’s Day truly memorable. How do you plan on celebrating this Valentine’s Day? Summer is coming up and that means Graduations – colleges and universities, high school and even technical school! Graduation season is around the corner and is a major milestone in many young people’s lives. It marks a turning point and a hard worked for accomplishment. 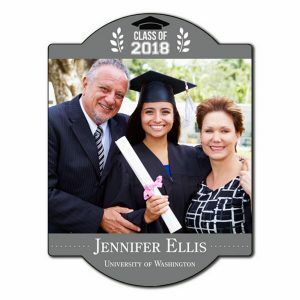 Show your support of your recent graduate and celebrate their new found success with a personalized graduation gift. Whether they are starting a new chapter of schooling or gearing up for their career, we have something special for every type of graduate! Every studious graduate has a collection of books, from novels to textbooks. A book is a very important and meaningful icon, symbolizing knowledge. 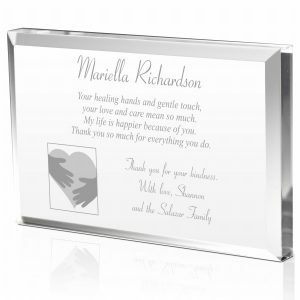 Celebrate their new found knowledge with a customized crystal book plaque. 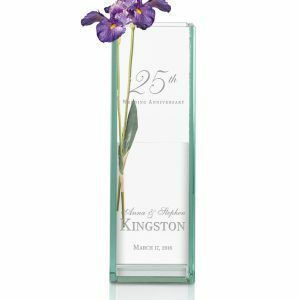 Crafted from optic crystal and adorned with a silver cap charm, this plaque is sure last the test of time. This makes the perfect plaque to adorn their full bookshelves. 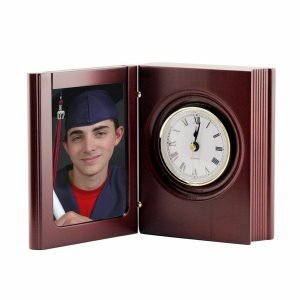 A personalized wooden book clock makes a unique gift for any graduate. Engraved with their name, alma mater or even a special message and featuring a photo frame inside. 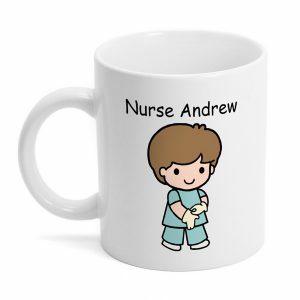 This makes the perfect gift for any new graduate’s desk. 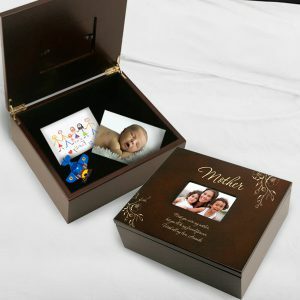 Commemorative gifts are always nice to give for special occasions, and can have a lot of sentimental value. A personalized pen set makes a great gift to celebrate a graduation. 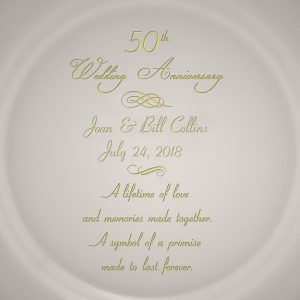 They can display in their new office or home as a special reminder or even use the personalized pen to make a great first impression during an interview. An engraved tea light candle holder makes a great gift to any new graduate. 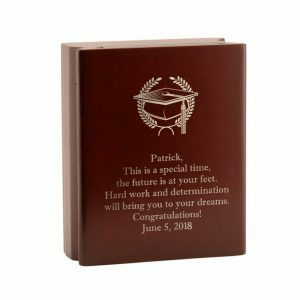 Adorned with the graduation cap and personalized with their name and Alma Mater, this candle holder is sure to match any home or office décor. How do you plan on celebrating an upcoming Graduation? At the graduation ceremony, there will be so many pictures taken. 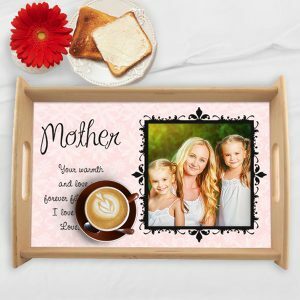 Honor those special candid moments with a personalized photo wall panel, specially designed for your favorite photo. 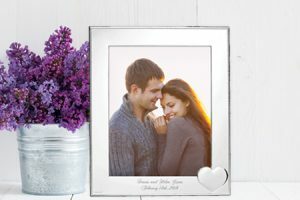 An engraved 8” x 10” wooden frame makes the perfect frame to proudly display your photo on any wall or mantle in the house. 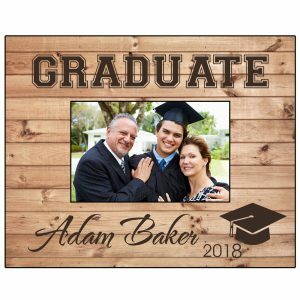 A personalized photo frame makes a great gift for those high school graduates that are moving off to college. This sturdy rustic 4” x 6” photo frame is sure to match any dorm or apartment décor and last through all the moves and parties! Graduation is a special and exciting time for the young graduate. 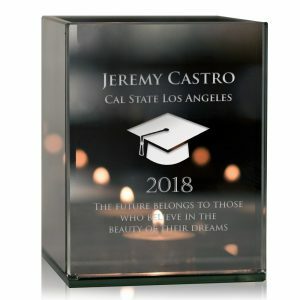 Celebrate and commemorate this time with a unique graduation gift. This year instead of money or gift cards, give a unique gift that will truly be cherished. Do you have any special graduates in mind? How do you plan on celebrating an upcoming graduation? Any family graduation traditions or practices? Whether it’s for your regular health care professional or a specialist that saved your life, doctors work hard to keep us healthy – They deserve a little thanks! Now, this is where things get messy – what is appropriate and what is not? You don’t want to be inappropriate or make your doctor feel uncomfortable or get them a cliché gift or something that they already have. There are so many great ways to thank your doctor, here are just a few! An actual thank you plaque and some heartfelt words can really go a long way. 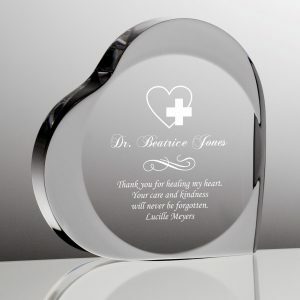 Adorned with their name a date and a special message, a plaque makes the perfect addition to any office or shelf. This gift is sure to be displayed prominently and proudly! 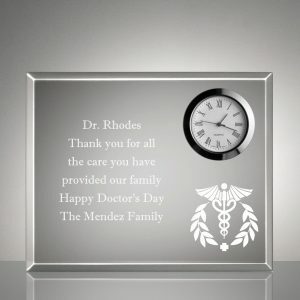 With a variety of plaques and designs to choose from, you are sure to find the perfect one for your doctor! To complement their exemplary service, a professional gift is always appropriate. 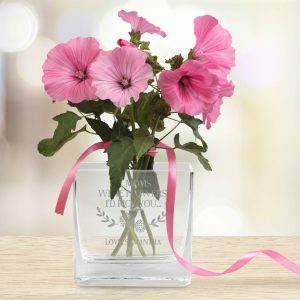 A gift for their desk or office will go a long way and is something that will be used daily! Also, A sleek desk nameplate or desk organizer makes a perfect ornamental and functional gift! 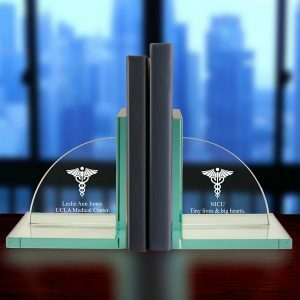 A personalized pen is always a distinguishing gift and our medical pen set makes the perfect gift set for your doctor, engraved with their name and a special thank you. For the health professional that has served you for years, a thoughtfully curated gift basket can be a great gift! Pick some favorite local snacks, treats and produce paired with a bag of coffee or tea for those long mornings! 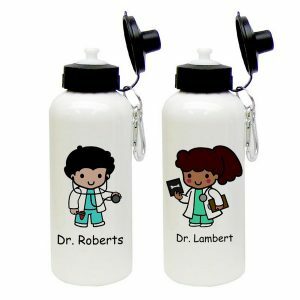 Add our exclusive custom character coffee mug or water bottle for a special personalized touch. This handy cheatsheet makes it easy to gift the whole office with the perfect gift basket! Stay away from Cliché or personal gifts like gag gifts and silly items. Unless you and your doctor are literally best friends, clothes, perfume and jewelry are just a no go. Expensive and lavish gifts like a spa treatment or tickets to a big game might be rejected. You want to thank and show appreciation, not make them uncomfortable! How will you celebrate this special day? Do you have a special doctor or healthcare professional that deserves recognition? Let us know your ideas and stories below!